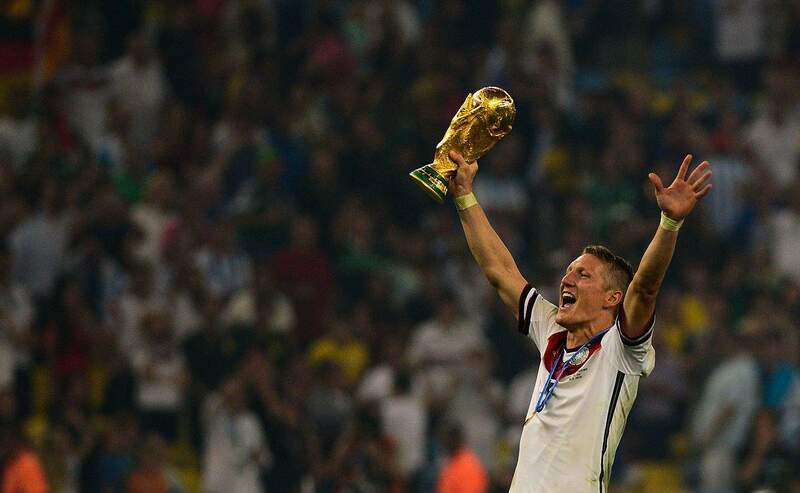 It’s every football fan’s dream, but lifting a Fifa World Cup trophy is something that the vast majority of people will never experience. However, one Julien’s Auctions bidder will get the chance to do just that this week. The Beverly Hills auction house will be holding the Julien’s Auctions Icons and Idols: Sports sale in Los Angeles, California this Friday, 3 November. A number of lots will go under the hammer at 805 North La Cienega Boulevard, presenting sports fans with opportunities to own some of the rarest pieces of sports memorabilia in the world. Football fans have the most reason to be excited. The auction will feature a range of signed jerseys from the sport’s biggest starts. 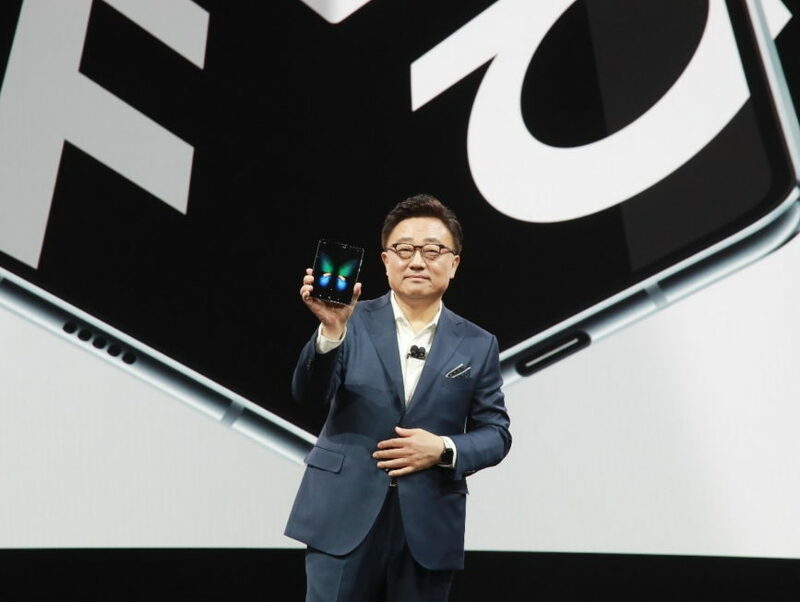 There will also be rare tickets, trophies and awards. However, there will also be items of interest for those that enjoy Formula 1, boxing and mixed martial arts and athletics too. While not the actual trophy presented to Germany for their victory at the 2014 World Cup, this item is bound to attract plenty of interest. 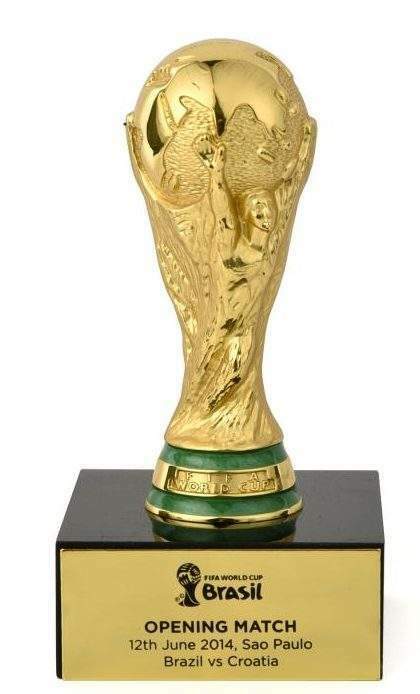 This replica cup was gifted to a high-ranking Fifa official to commemorate the opening game between Brazil and Croatia. 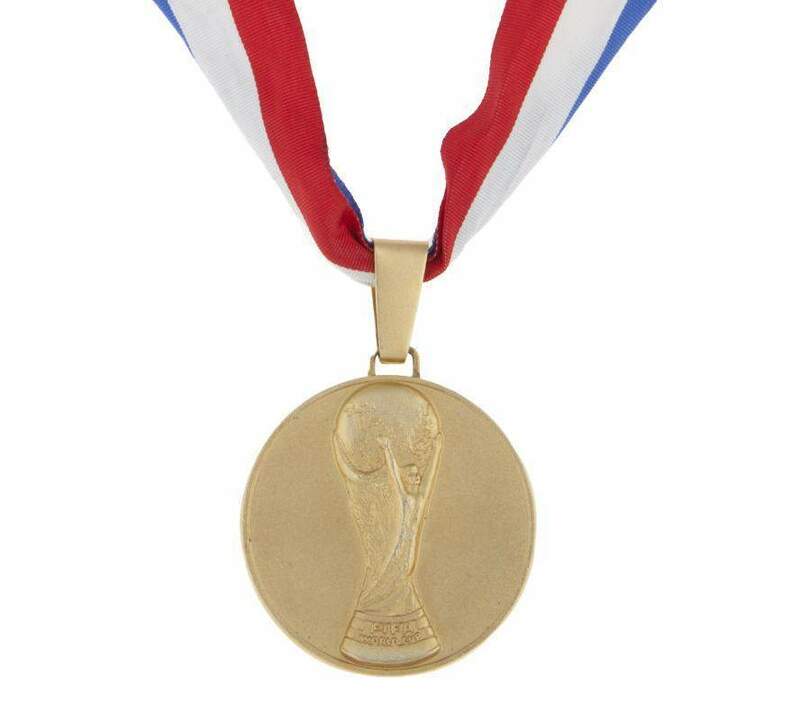 Alternatively, if you want to feel like a true champion, Julien’s will be auctioning off a genuine gold medal presented to one of the winning Brazilian players at the 1994 United States World Cup. 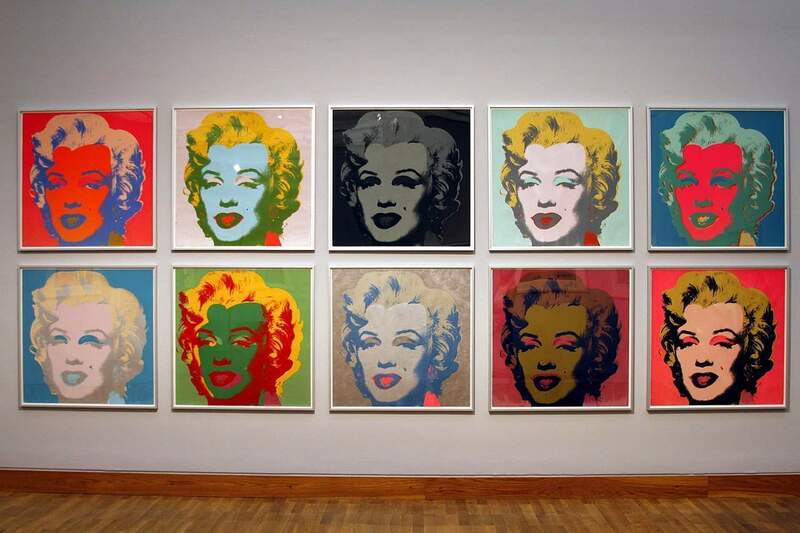 This is expected to be the most expensive sale at Friday’s auction. 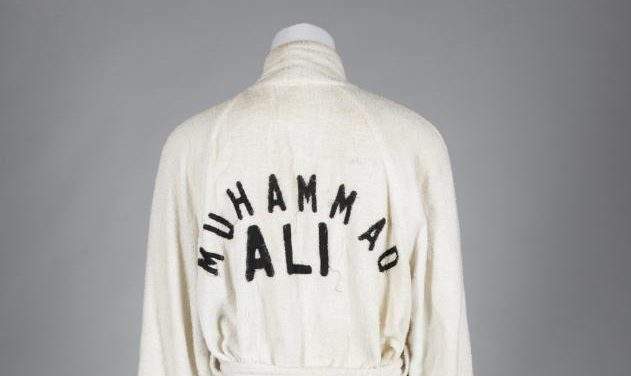 The legendary boxer gifted this white training robe to promoter Harold Conrad ahead of his third and final fight with heavyweight rival Ken Norton. Ali had donned the robe while training for the fight, which he went on to win via the judges’ decision. 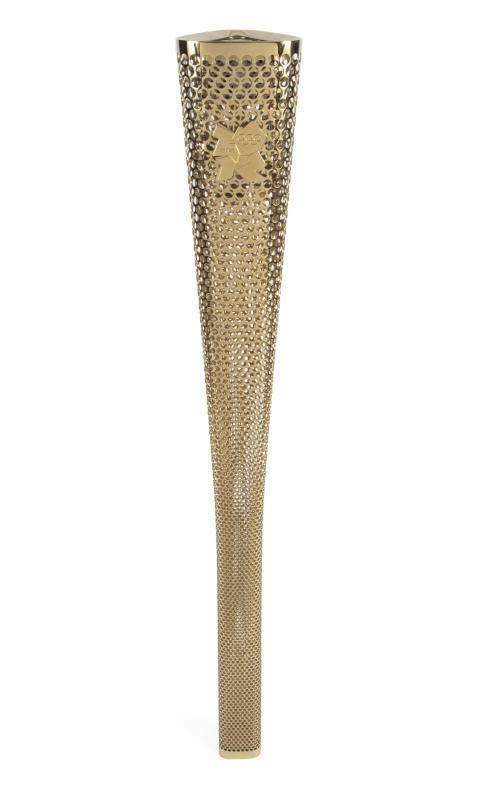 This Olympic torch was once used to carry the Olympic flame from Greece to the United Kingdom ahead of the London 2012 Olympic Games. Widely regarded as one of the best Games in history, the value of such items, gifted to its respective torchbearer, has climbed over the years. 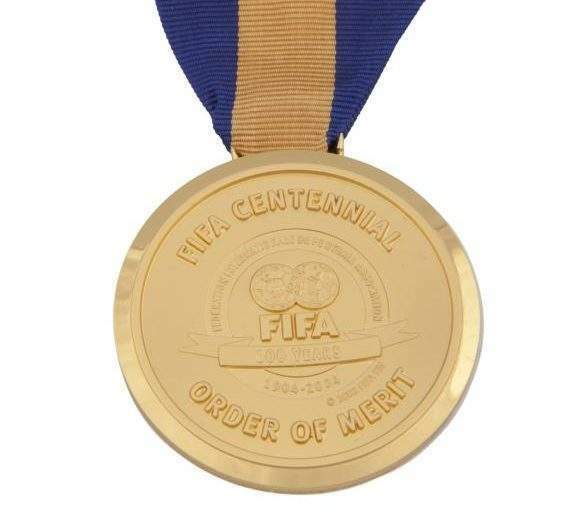 Widely regarded as the best football player of all time, Pelé was awarded this FIFA Order of Merit medal in 2004 as thanks for his contribution to the sport. The Order of Merit is only handed out to the very best players, with just 31 recipients since 1984. Conor McGregor vs Floyd Mayweather may have left fight fans disappointed. However, their clash will still go down as one of the most lucrative boxing matches in history. 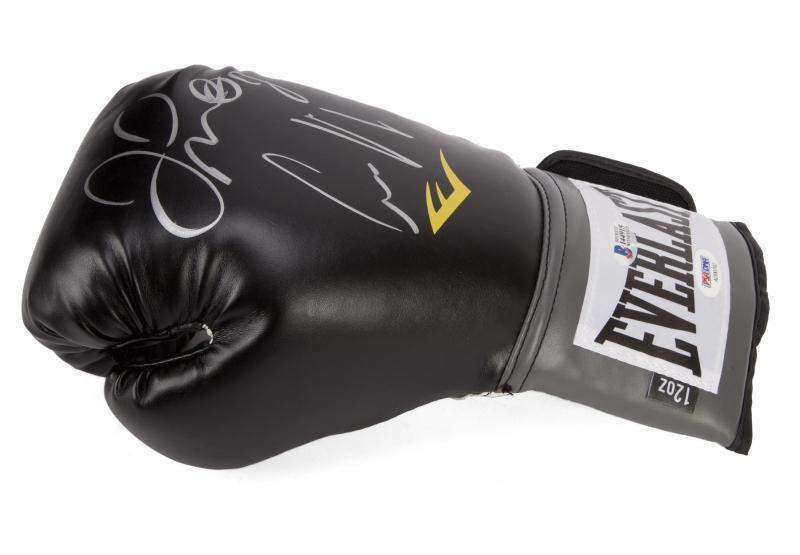 This glove, signed by two of the biggest sports stars around, is hugely exciting for both boxing and MMA fans.